We offer excellent quality Sweep Gauge in the domestic as well as global market. The Electrical Sweep Gauge supplied by us in the market is known for its high performance and durability. Besides, we are a primer Pressure Sweep Gauge Manufacturer as well as Supplier in India. The sweep gauges have been developed to measure large diameter and very high bores of jobs like bores of a large size generator stator. The equipment consists of X and Y table which can be leveled accurately by leveling patch provided at the centre a vertical column of required height (up to 6m) is provided. On the column a swinging arm is provided. The swinging arm also provided with up and down movement on the column. 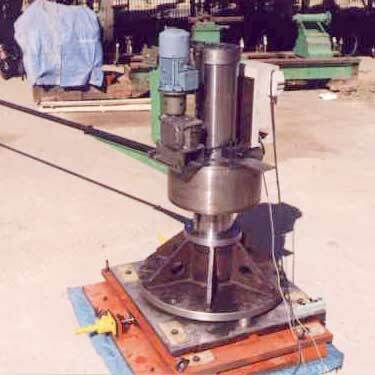 Position of the swinging arm can be clamped any vertical position still providing the swinging are rotate. The swinging arm is of the required radius (up to 8M.) at the end of the arm the measuring instrument like indicator can be fixed. Equipment can thus map the dimension of the large bore and also any high jobs.